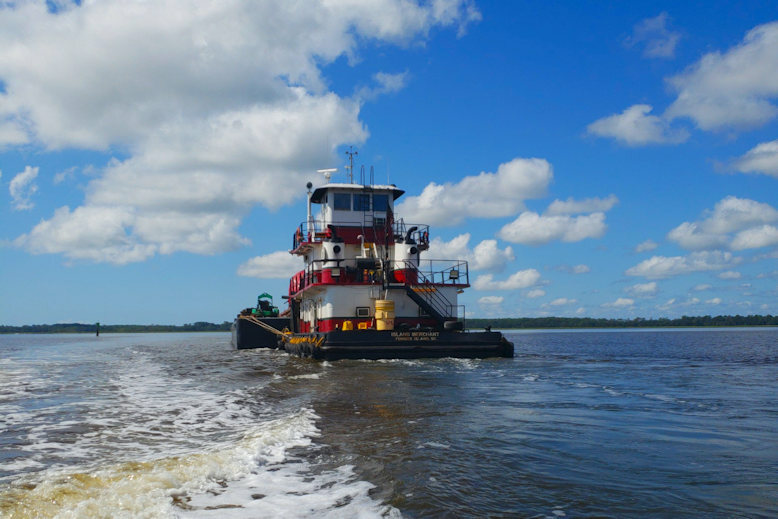 Hell Gate is a shortcut channel near the confluence of the Big Ogeechee River and Little Ogeechee River that was cut by the Army Corps of Engineers to accommodate the convenient movement of vessels in the Atlantic Intracoastal Waterway. 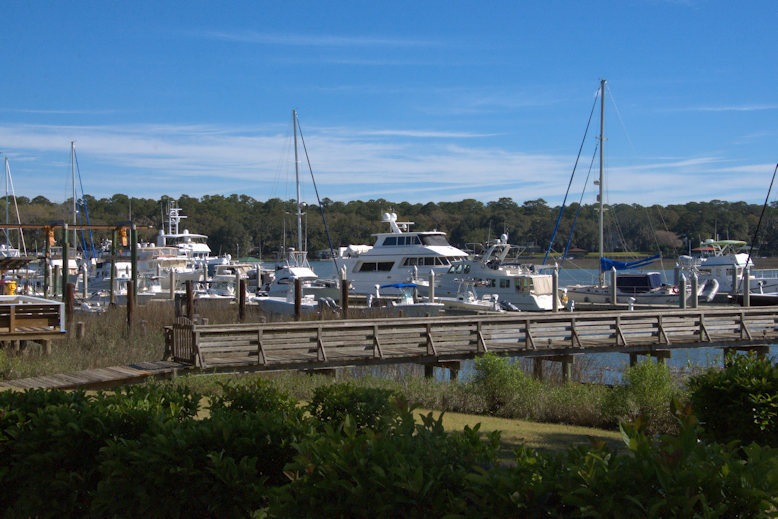 At low tide, the channel is dangerously low and even experienced boaters can have problems navigating if not careful. 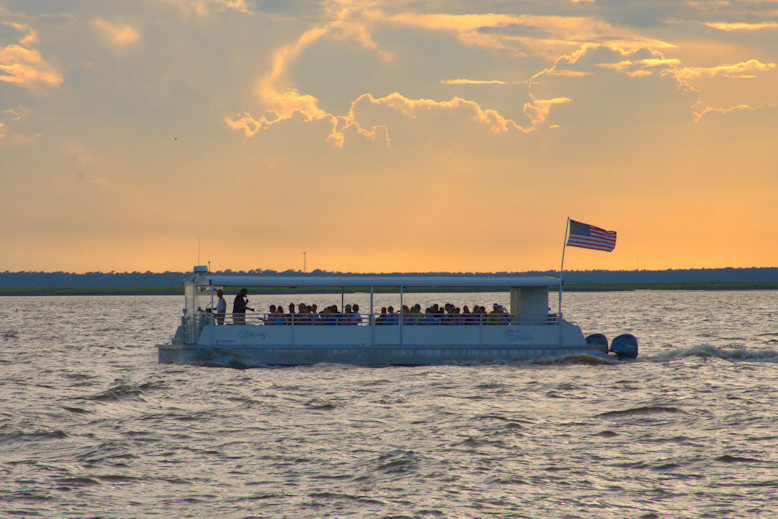 Sunset and dolphin cruises are a great way to see Jekyll Island from a different perspective. 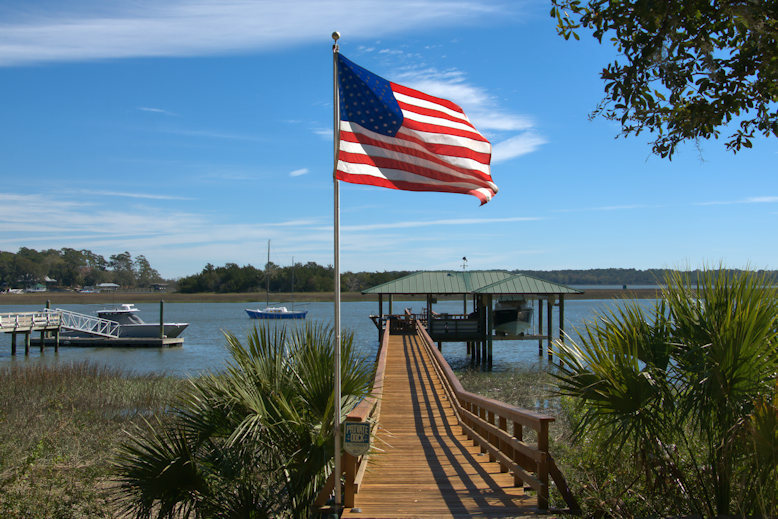 They’re affordable and allow you to see more than just the beach. 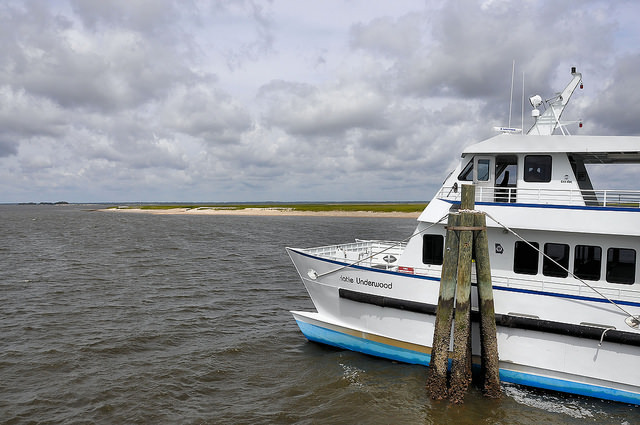 Check with Captain Phillip or other providers for details. 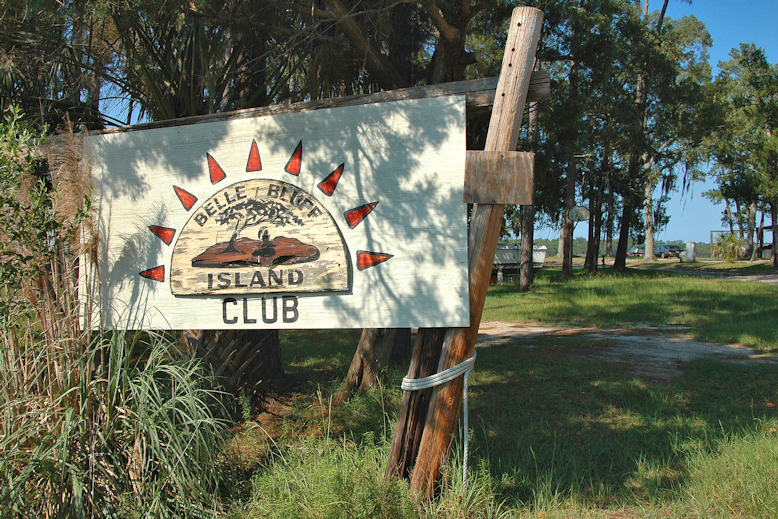 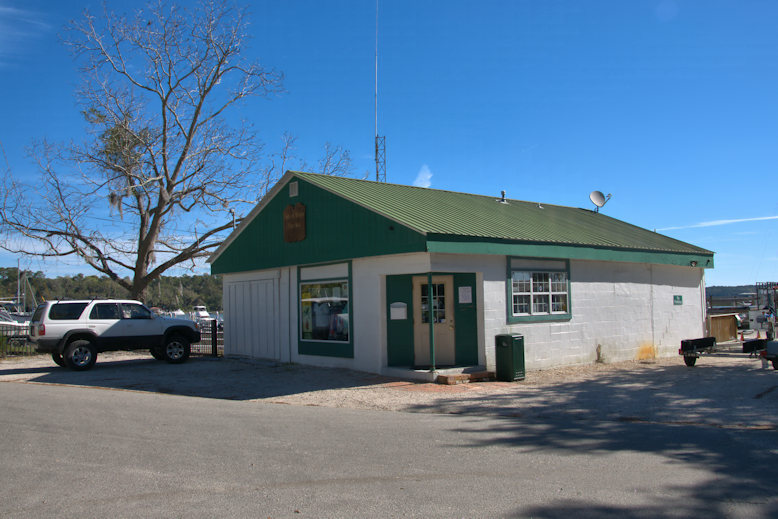 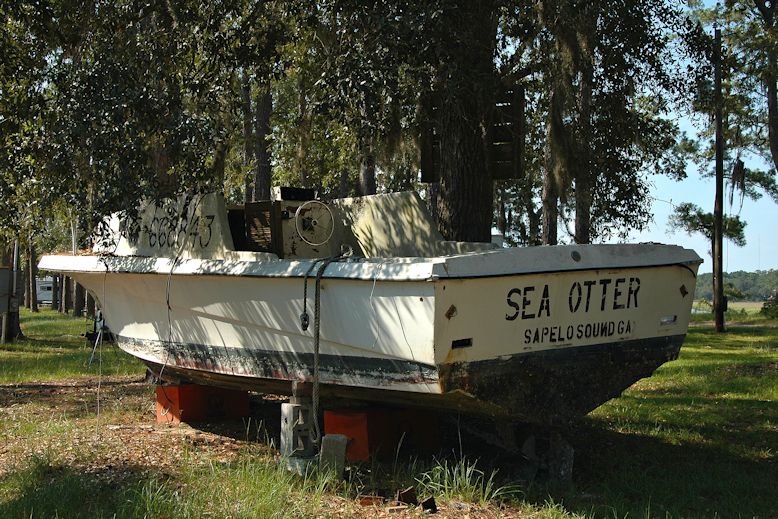 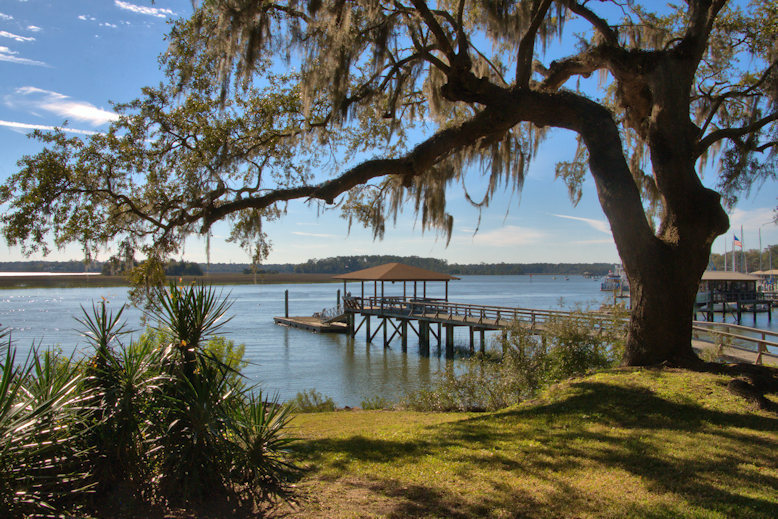 Belle Bluff is a fishing/boating community on Blackbeard Creek. 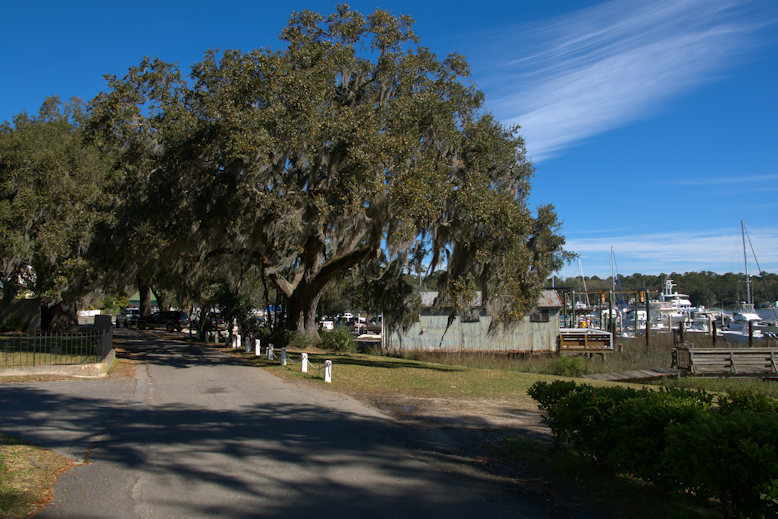 Such places are fairly common on the coast, a modern version of the fishing camp. 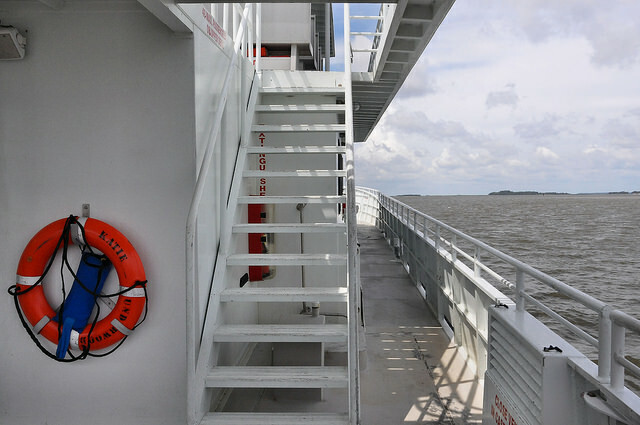 I’ve been sorting through some 3000 images for an upcoming book about Sapelo Island and came across these shots of the Katie Underwood at the confluence of the Duplin River and Doboy Sound. 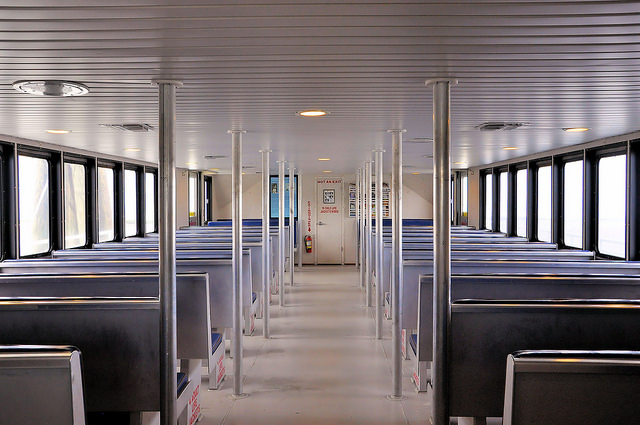 As one who always chooses to ride on the outside upper deck of the boat to take in the scenery and the salt air, I can attest that these hard metal benches inside can be very useful when it’s raining, especially in winter. 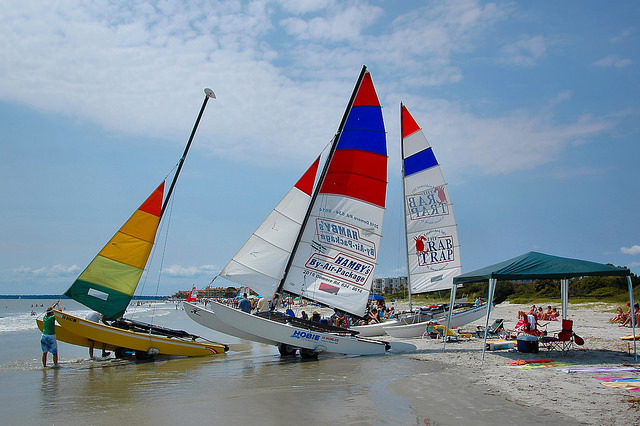 Hobie ™ Cats are often available for rental on East Beach, for the adventure-minded.